Yet, what about using them for something deeper? For the issues underneath… the ones no one sees but that we most certainly feel? 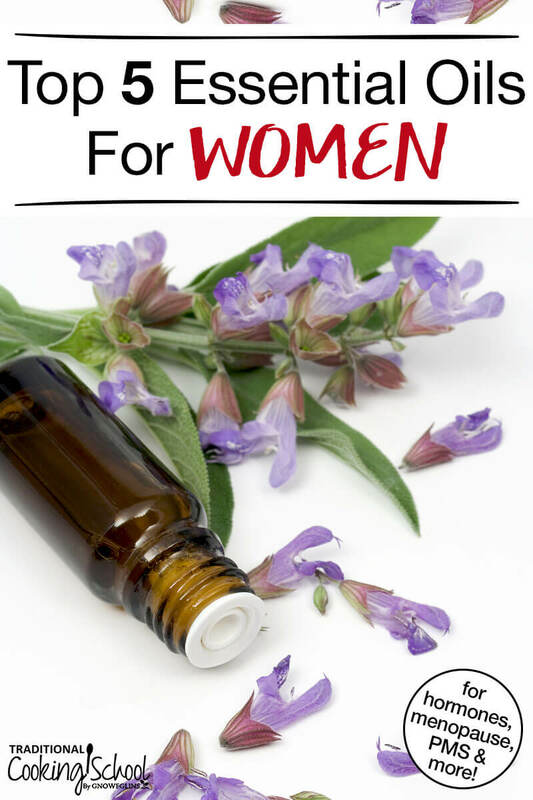 Can essential oils provide relief and healing for the uncomfortable physical and emotional issues related to female hormone imbalances? 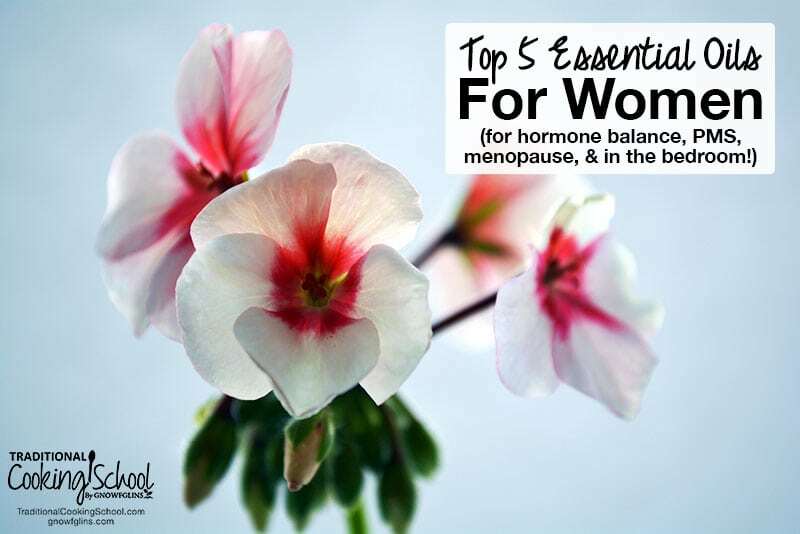 For relief from PMS or menopause, pain relief during childbirth, hormone imbalance, and even in the bedroom, you need to know about these top 5 essential oils for women. Clary sage comes from the Latin word clarus, meaning “clear”. During the Middle Ages, it was referred to as “clear eyes” because it was used to improve vision and relieve tired or strained eyes. Clary sage essential oil also calms the nervous system, particularly during stress and depression. It even promotes relaxation during childbirth. To use: Add a few drops to bathwater for a relaxing soak. Dilute with a carrier oil and rub into pain-inflicted areas, such as the back of the neck or lower abdomen. Ylang ylang essential oil is steam-distilled from the flowers of the ylang ylang tree. It has a pleasing, floral fragrance and is widely used in cosmetics, perfumes, and as an aphrodisiac. Its ability to calm and strengthen the nervous system, fight depression, and provide overall relaxation may be why it is so effective as an aphrodisiac. Ylang ylang has a strong scent. Mix it with another oil, such as wild orange, cypress, or bergamot, if you find it too overpowering on its own. To use: Add a drop or two of ylang ylang to a bath (even better if you're sharing that bath with your spouse!). Use ylang ylang in homemade perfume. Dilute it in almond oil and use as a relaxing massage oil. Inhale its scent directly from the bottle or from your hands. Finally, diffuse it in the bedroom. Geranium essential oil is ideal for hormone balance because it acts as a tonic for the adrenal cortex. Furthermore, geranium essential oil is helpful in managing adrenal fatigue and the symptoms that go with it, including depression, nervousness, and chronic fatigue. It provides emotional support as well and may be beneficial to use following labor or miscarriage (source). Finally, with an exotic aroma, geranium is a powerful aphrodisiac. To use: Add several drops of geranium to bathwater during PMS, stressful times, or when you just need a boost. Add to almond oil for an uplifting massage oil. Combine geranium oil with other hormone-balancing or aphrodisiac oils. Geranium is hypoallergenic and non-toxic, so it may be used NEAT (undiluted), too. Jasmin is known as the “King of Oils” — despite being predominantly a woman's oil. Jasmine comes from the Persian word yasmin, meaning “a gift from God”. The essential oil is made by steam-distilling the flowers; however jasmine absolute is produced by solvent extraction. It is one of the most expensive oils. Roughly 8 million blossoms are required to produce 1 kilogram of oil! 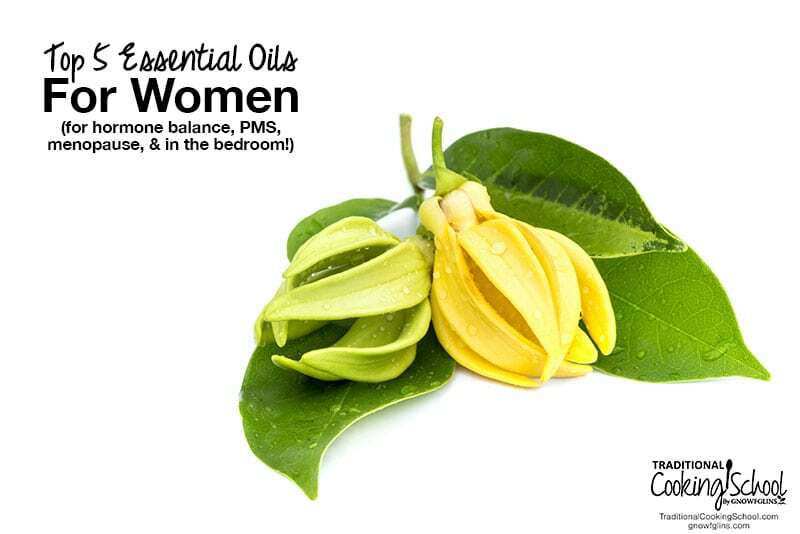 Jasmine has been used for women's issues for centuries. It helps during PMS and menstruation, promotes healing of hormone-related imbalances like acne, and reduces the appearance of stretch marks and other scars. To use: Diffuse 4 to 5 drops of jasmine or inhale directly from the bottle or your hands. Blend with a carrier oil or body butter and massage into scars or stretch marks. Use undiluted on the forehead, back of the neck, or insides of the wrists. Cypress essential oil comes from the cypress tree, a deciduous evergreen tree native to the island of Cyprus. It has unique healing properties for women. It is especially helpful for treating cramps, heavy blood flow, irregular periods, and mood swings (source). Finally, cypress has a calming effect, both physically and emotionally. It can stop spasms and pain related to inflammation, cramps, and rheumatism. It is beneficial to those who've suffered trauma or who need to relax the nervous system. Pregnant women should not use cypress essential oil. To use: Dilute 2 drops of cypress essential oil in 1mL cold-pressed sesame oil and massage into the lower abdomen. Diffuse it to calm and relax your mind. Add it to a carrier oil or lotion and rub on to varicose veins. 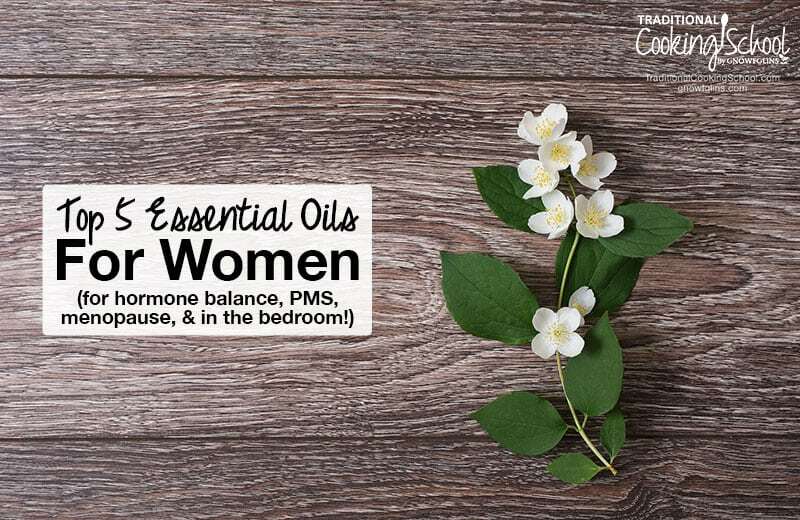 Do you use essential oil to help with PMS, menstruation, or menopause? What about to boost libido? 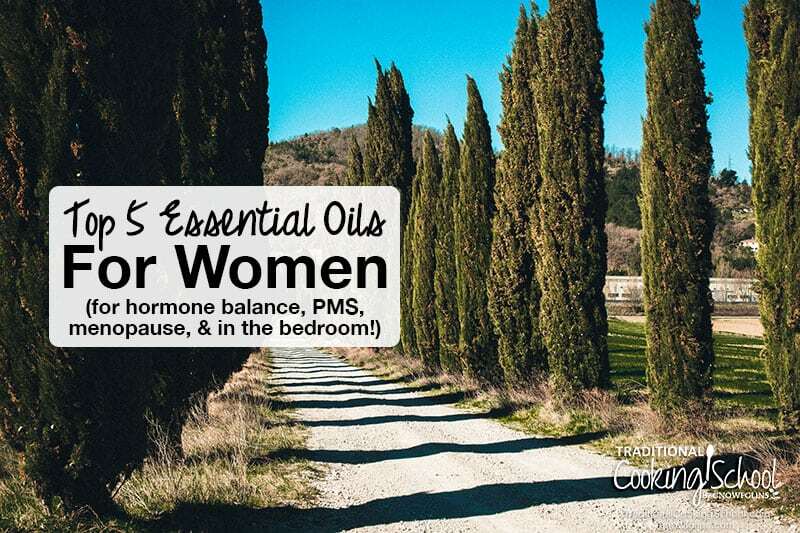 What essential oils for women are your favorites? Thank you for all you do. Love the therapeutic properties of essential oils. May I ask what company you use? Wardee uses Aroma Foundary and Rocky Mountain Essential Oils. I use and love Spark Naturals. None of these are MLM companies, and we LOVE them!